There are a variety of different mobility toilet aids that are designed to address the personal requirements of people with limited movement. 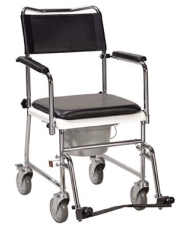 The following includes some of the different types of mobility toilet aids available from medical product suppliers, local retailers and online shops. Raised toilet seats or risers accommodate different sizes of commodes and elevate the toilet seat up to 6 ½ inches, depending on the model. Some raised seats come with special locking brackets that clip onto your toilet. 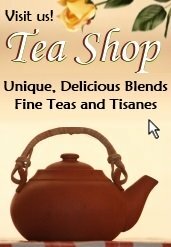 Others require no installation and can be used with any size or type of bowl. 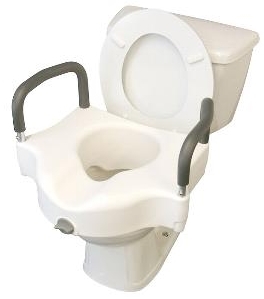 Universal raised seats are designed to fit over any toilet. 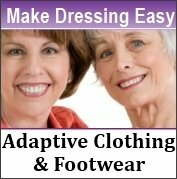 They can be adjusted up and down, based on user need. Most models come with a splash guard. 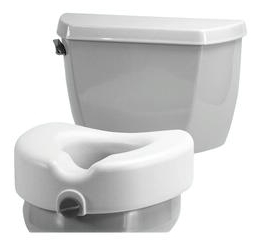 Raised toilet seats are easy to clean and store. 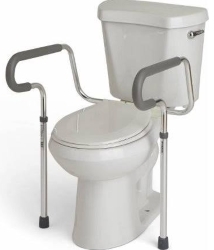 It is advisable to use a safety frame with your raised toilet seat to avoid slipping or falling in the bathroom. Raised toilet seats also come with armrests, which offer some of the benefits of a raised seat when combined with a safety frame. These models come as a single unit that fits over the toilet bowl. Padded and unpadded armrests are available based on individual requirements. 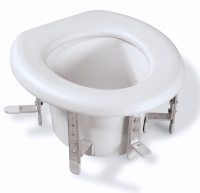 Adjustable Toilet Safety Frames are designed for placement over a standard toilet or with a raised toilet seat. The height and width of the frames can be adjusted to suit the individual. Armrests and aluminum frame construction provide security and balance for the users. Look for models where the arms fold back for easy transfers and cleaning. Bedside, portable commodes or toilet chairs typically feature a drop arm and an upholstered seat that can be quickly removed to reveal a commode. The chairs are adjustable and feature an easily removable pail. Other portable toilet chairs have special seats that accommodate a cutout to allow the individual to be wheeled over the toilet. The chairs are typically designed for shower use as well. 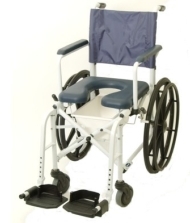 In addition to the wheeled models, stationary toilet chairs are available from some suppliers. Copyright 2005-2019 - Sowder Group LLC - All rights reserved. Articles and images are copyrighted and may not be reproduced. Content is for informational purposes only and not for diagnosis or treatment of any kind. The site publisher/owner is not liable for your use of site information. Please see disclaimer. Always consult with a medical professional for all health-related issues. 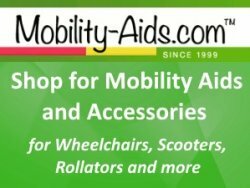 Thank you for visiting Mobility-Advisor.com.